Who Doesn’t Love An Early Christmas Gift? Hello Everyone! Since September is just around the corner, we here at Christmasgifts.com have come with a new giveaway as a way of saying thank you to you all. We are proud to announce Our Early Christmas Gift Giveaway. One lucky recipient will receive their special Bon Appetit Gift Basket, a prize worth $40 USD. Gift Baskets make great Christmas gifts because there’s always something in there for everyone. Full of sweet and savory goodies, this gift basket is sure to please the pickiest palette. 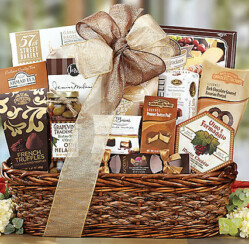 Sponsored by Wine Country Gift Baskets, this makes a lovely hostess or client gift. Leave a comment on our Facebook page by clicking here. b) What was one of the Best Christmas gifts you have ever received? Contest is open to residents of the United States and Canada. All of us at Christmasgifts.com appreciate your support. Please contact us with any questions. Good luck to you all! We appreciate your support and look forward to your responses. The best Christmas gift I ever received was my firstborn child, who was born just a few weeks before Christmas. The worst Christmas gift I ever received was from a friend of mine, who kept giving me the exact same candle year after year after year! I think she must have bought those candles in bulk and wanted to get rid of them! That’s funny that your one friend gave you the same gift year after year. I had a friend once do that with a birthday card once. Having a child born before Christmas is such a blessing. Thanks for sharing. I follow Christmasgifts.com on Pinterest. I left a comment and ‘liked’ the facebook page. What a fun question to answer! Thanks Amanda. We appreciate your support. Have a great weekend and good luck. When in elementary school would draw names and bring a small gift the last day of school before our holidays began. My gift would of been nice, but when opened the box of chocolate covered cherries was not eatable. Broken, smashed and moldy. The box hadn’t been opened so sure the little boy that had drew my name wasn’t aware of this. But was disappointing to receive. My best gift was also when I was small. Each year sisters and I would get a new doll. I was very small and that year Santa brought Betsy Wetsie. She had a little bottle with her and could feed her. She become one of my favs. I’m to the age that we didn’t get dolls all during the year. So our Christmas Doll become our special playtime friend. I left a comment on facebook page!! Thanks for the giveaway. 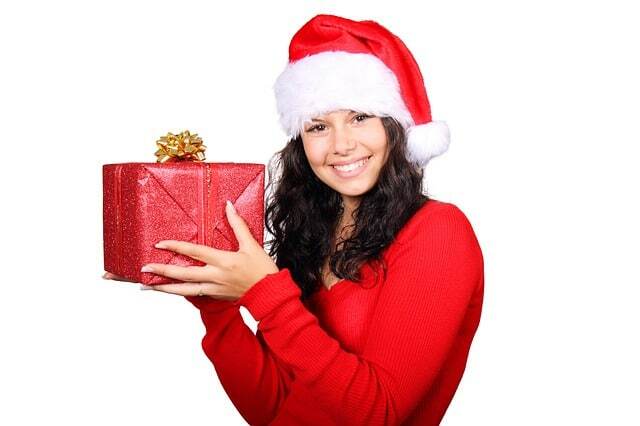 the worst gift was very noticeable used handbag…. and the best was a family portrait! I remeber worst gift now underwear but not reg ones- grannie painties. Thanks mom :p haha me and my sisters banned mom from buying any underwear for us. ever!!!!!!!!!!!!!!!!!!! The worst gift I ever got was a handful of change from an ex husband because he had spent the rest of his pay at the bar. the worst gift is when I was givin a re gift of a used embroidery set, partcial used to. The worst gift I received was a set of tools. My boyfriend at the time wanted them for himself and instead of telling me this he decided to just buy it for me instead. The best Christmas gift was a Hello Kitty stuffed for me at Build a Bear by my now hubby 🙂 He even had her holding a heart necklace in her hand. The best Christmas present I got was I did not have to work and got to spend time with the family. The worst gift I ever got was a pair of oven mitts. The best gift was a typewriter when I was 14 (oops! – I just gave away my age. THE RUBBER FROG IN MY SOCK WAS PRETTY BAD!! !…ESPECIALLY AS I AM NOT IN THE LEAST A FAN OF FROGS . THE PICTURE THEY TOOK WAS NOT A FAVORITE EITHER. OUR FIRST CHRISTMAS AS PARENTS WAS ONE OF MY FAVORITES…..AND ALL THE NEXT RIGHT ALONG WITH THE ONES AS GRANDPARENTS. The worst Christmas gift, based on disappointment level, was when we as children received a private line for our phone as our Christmas gift, something I didn’t appreciate the need for (although as an adult, I now appreciate the problems of a party line shared among neighbours). I can’t recall my best Christmas gift, because I was blessed to enjoy so many other exciting Christmases: my Light Brite and Easy-bake oven gifts were most memorable! Worst was socks, best was a TV. Fun contest to enter. Left comment on Facebook page. Submitted my entry. Thank-you for the awesome chance! Liked shared and commented on your fb page. Interesting questions to answer! Liked, left comments , shared, and thank you for the chance to win this !! Christmas Gift baskets are the best, the bigger the better! Thanks.